Portland Mover Review by Sandra G.
ITS moved me out of one condo into to two separate locations. They did such a good job, I did not even shop around when needed for another move. This move was moving items out of a floating structure. They did not bat n eye and took care of everything. Awesome team with Rob & Mitch! 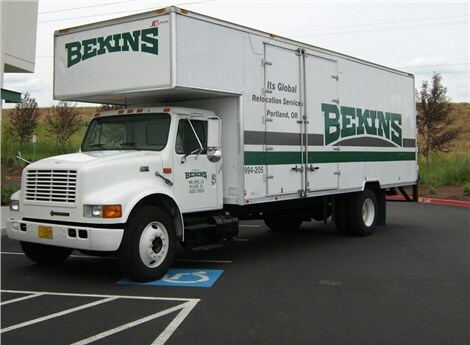 Portland Mover Review by Julie H.
The person (sorry forgot the name) came and packed up some items to get my home ready for the real-estate market. He was pleasant and very professional. Thank you for your help! Portland Mover Review by David m.
Wesley and his partner were great! Friendly, customer service orientated, and were in and out very quickly. Super impressed! Portland Mover Review by Cathy B. Four young men, working hard on a 98-degree day, maintained their sense of humor all day! They were very considerate and packaged my art collection very carefully. I enjoyed working with them -- I highly recommend ITS! Portland Mover Review by Val L.
Crew arrived on time, they were careful and patient with both the packing and the unpacking at the new place. I would certainly recommend them. Portland Mover Review by Mike W.
Portland Mover Review by David P.
Excellent service...wrapping with care, packaging art work, taking extra care with valueable antiques. I highly recommend ITS Global/Benkins! Portland Mover Review by Keith E.
Portland Mover Review by Michael S.